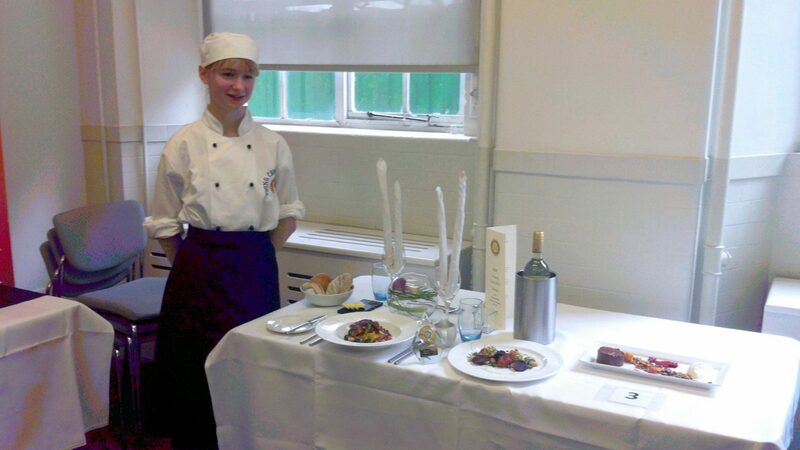 On 21st March Banbury teenager, Christina Welz, our Banbury Young Chef and District 1090 winner took part in the Rotary Young Chef Regional final at Westminster Kingsway College. Out of 8 finalists she was awarded runner-up prize, only one point behind the winner, after cooking an impressive 3 course meal which won high praise from the judges. Christina was runner up of 8 contestants from 4 Districts, all 8 had come through from around 1,000 entries at Club & District Final levels. The judges were Tony Tobin (well-known TV Chef), Christopher Basten (Chair of Craft Guild of Chefs and Chef Lecturer at Westminster Kingsway College), and Stuart Williams (Operations Manager for Thomas Franks Contract Caterers). Contestants brief was to cook a healthy 3 course meal for 2 people for £15 or less. Congratulations to Christina and to the winner Lewis Wilson from Horsham.